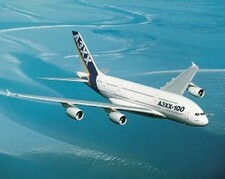 Airbus is offering a new system for their planes that will help avoid midair collisions. The system will rely on the autopilot to take evasive maneuvers if a collision is about to occur. The pilots dislike the system and for once I will side with them. Pilots go through stringent training to deal with these issues. If there is a chance of collision how can anyone expect a pilot to sit back and leave his or her life and those of the passengers to the fate of a computer. You would have to be nuts. I would much rather have a pilot making these decisions than a computer. Because computers do not die. Pilots do. Known for its pioneering use of computers and software to push the automation envelope, this time Airbus has decided to cross a new threshold in replacing pilot decisions with computer commands. For the first time, flight crews of Airbus planes will be instructed and trained to rely on autopilots in most cases to escape an impending crash with another airborne aircraft. Currently, all commercial pilots are required to instantly disconnect the autopilot when they get an alert of such an emergency, and manually put their plane into a climb or descent to avoid the other aircraft. The change, which hasn’t been announced yet, comes after lengthy internal Airbus debates and despite skepticism from pilot groups and even some aircraft-equipment suppliers. In spite of significant pilot opposition, the proposed shift sets the stage for broader use of computerized safety systems down the road to protect commercial planes, business jets and other aircraft from other hazards, including flying into natural or man-made obstacles. WSJ.com – Airbus Planes to Use Computers In Crash-Avoidance Maneuvers . The Space Shuttle Discovery is expected to launch out of The Kennedy Space Center in Florida on the 1st of July. 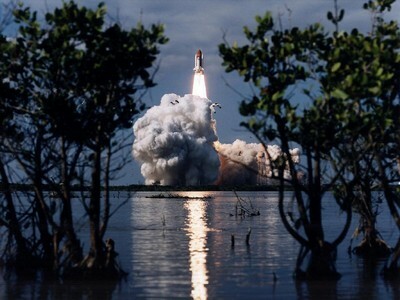 If you have never witnessed a Space Shuttle launch live, it is one of the most spectacular events in modern times. The launch is scheduled for July 1st, but the launch window is from the 1st to the 19th of July. If you are planning on being down in the Central Florida region, it is a great day trip to attempt to see a launch or to visit the facility and museums. Order Tickets to Launches or Kennedy Space Center Attractions. The attack on in El Al flight by rocket propelled grenades last December in Geneva, Switzerland was foiled by Swiss and French intelligence divisions. The attack was to be carried out by Islamic Extremists. The Yedioth Aharonot newspaper reported that a secret agent working undercover amongst an Islamic terror cell in the city discovered the plan after three immigrants of Arabic origin boasted of their attempts to smuggle weapons from Russia with the ultimate goal of shooting down an Israeli plane at the airport. When the matter was reported to Israeli security, El Al changed the flight paths of all its Geneva-bound planes, landing them at Zurich Airport the following week. Swiss officials reported that no arrests were made following the discovery since the plan had yet to reach its final operational stages. In a weird story, a Southwest flight heading from Baltimore to Providence had to turn back as there was no one in the control tower to handle the flights landing, so the plane had to return to Baltimore. The flights passengers had to sleep at the airport overnight. Southwest requested that the tower remain open past its typical midnight closing time. Southwest is claiming that the tower refused to stay open and the flight had to return to Baltimore, while the FAA is reporting that Southwest did not need someone in the tower to land. But let me ask this question, if the pilot landed without someone in the tower and their was a problem, would that be the smartest and safest move? I think someone in the FAA screwed up and they are covering their proverbial behinds. It was so sad, and we were treated like cattle,” said Michelle Harvey, who was flying home from Baltimore with her mother. “And then when we were flying, the pilot got on. He sounded greatly distressed. He said, ‘There’s no one at the tower in Providence. We have to go back.’ We were about 10 minutes out. Ten or 15 minutes out,” Harvey said. The passengers had to camp out overnight at the airport in Baltimore. Passenger Jillian Costa shot home video of the ordeal. Costa was traveling with an infant, and she wasn’t the only one. What some may be calling a prank and others a dangerous and terrifying action, Alif Chowdhury ripped off his backpack and yelled “It’s Time To Die” at the Buffalo Niagara International Airport at about 9:30 p.m. Monday. The boy was taken into custody by police and is now having a psychiatric evaluation. Authorities say the 16-year-old boy (Alif Chowdhury) from Garden City, Long Island was with his father (Ehsan Chowdhury) waiting outside a terminal prior to their flight to J-F-K Airport. Passers-by became suspicious of the youth’s behavior and alerted airport police. The teen — who was dressed in a white robe-like garment — became agitated while officers questioned his father. Officials say he said he wasn’t afraid to die and tried to pull something out of his backpack. The officers subdued the youth, who was carrying cell phones in the backpack but nothing dangerous. The teen was taken to a Buffalo hospital for a psychiatric evaluation. via WSTM Television . In one of the funnier stories to emerge from the saga that is Delta Airlines and its bankruptcy is the story coming today out of ALPA offices. ALPA is the union that represents the Delta pilots. They will not be firing on all cylinders over the next few days as they are in the midst of a strike. Strike you ask? Sure, but this time ALPA is not striking anyone, but is being struck by its clerical union workers. With the paycuts across the industry, the union is in fierce negotiations with its clerical union raising health care costs and lowering pay raises. Representatives of the Union of ALPA Professionals and Administrative Employees, Unit 2, could not be reached for comment. Janhunen said ALPA’s Washington headquarters, along with local ALPA offices for pilots at Delta, Atlantic Southeast Airlines and numerous other carriers are affected. Union lawyers and other professionals are working from other locations on “core” issues such as Delta’s bankruptcy proceedings, he said. ALPA’s clerical workers rejected a three-year deal with “modest” pay raises but higher health care costs, according to Janhunen. The 62,000-member ALPA has had to tighten its belt after its dues declined about 20 percent during the industry’s hard times in recent years, he noted, adding that ALPA can’t afford to budge much from the rejected pact. via ajc.com . 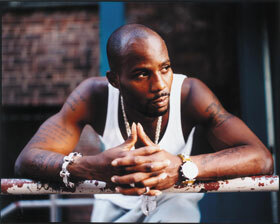 Looks like rapper DMX decided to cause trouble on a flight between New York and London and ended up arrested when the flight landed at Heathrow International Airport. Police arrested rap star DMX after he refused to put on a seat belt and became abusive on a flight from New York to London, authorities said Monday. The rapper, whose real name is Earl Simmons, received a caution and was released after his American Airlines flight landed at Heathrow Airport on Saturday, police said on condition of anonymity in line with departmental policy. A caution means a person has accepted responsibility for the offense, and a record will be made. The artist has had brushes with the authorities in the past. via AccessAtlanta . Historic Jamestown in coastal Virginia is celebrating their 400th anniversary with the opening of its newest attraction, the Jamestown Archaearium. The archaearium will showcase the findings of the world-renowned archaeological discoveries at the first permanent English settlement in the New World and the birthplace of America. Developed by APVA Preservation Virginia, the innovative $4.9 million facility opens Saturday, May 13, on the 399th anniversary of Jamestown. Elizabeth Kostelny, executive director of APVA Preservation Virginia, said the Archaearium (pronounced ark – ee – air – ee – um) links history, archaeology and a sense of place to tell the story of Jamestown from 1607 to 1699. “Every American should visit here. This is where our nation began,” she said. The Archaearium and the archaeological research are the APVA Preservation Virginia’s signature contributions to Jamestown’s 400th anniversary in 2007. 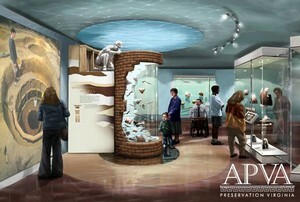 The Archaearium is also the centerpiece of the overall $63 million master plan, created in partnership with the National Park Service, for new interpretive experiences and that will open at Historic Jamestowne during the next year including a new visitor center that will tell the history of Jamestown and the Indian, European and African peoples who lived there. Plans also include a riverside restaurant, enhanced visitor transportation opportunities and outdoor exhibits. The Airline Hub is reporting that Air New Zealand is going to be the first to fly 787–9 in 2010. Being the first airline to introduce the 787-9 aircraft will enable Air New Zealand to provide a superior, first-to-market experience for our customers and is a most desirable position for us to be in given the unprecedented sales success of the Boeing 787 model,” said Air New Zealand Chief Executive Officer Rob Fyfe. 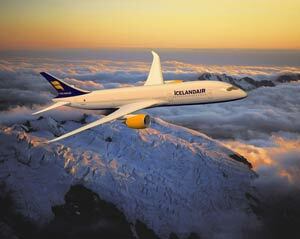 The 787-9 is capable of carrying 250-290 passengers on routes of 8,600 to 8,800 nautical miles (15,900-16,300 kilometers).